After nearly 10 months, the Gangsters were back. This time we were off to South Australia for another invasion. Unlike our last visit to Adelaide where we set a new one-day record, this time we were in search of powertrails and the lucrative numbers that are associated with them. We were greeted with inclement weather but that didn’t deter us and we were soon in the Adelaide hills collecting our first series of caches. After midnight on the Thursday we started the Fruit Loop series. Clearing skies and cool temperatures made for easy caching and by the time we stopped for the night we’d found an easy 30 caches. Thursday dawned with clear skies and a beautiful country vista. We quickly packed up and continued where we’d left off the night before. 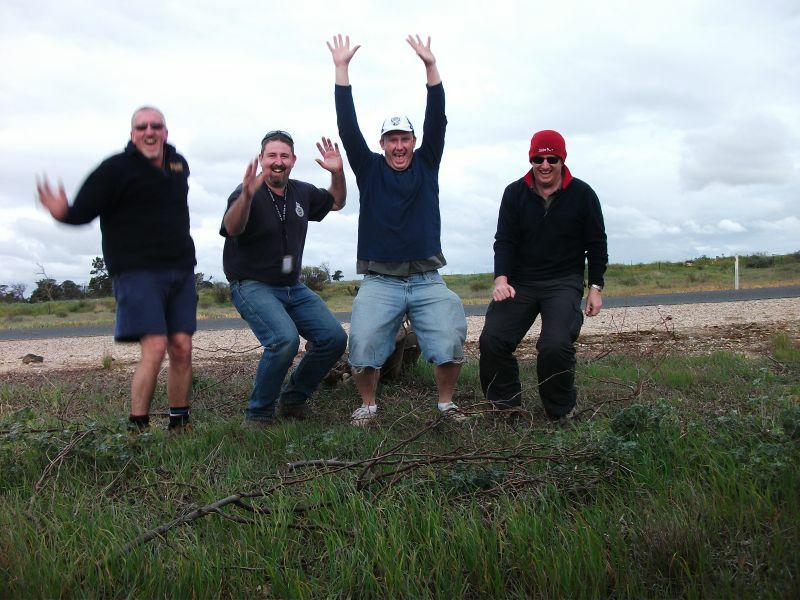 The rest of the Fruit Loop series didn’t take long to complete and we were soon in Mannum getting a late breakfast. We boarded the ferry-punt for one of the many crossings we did over the Murray River and continued further south. It didn’t take long before we were starting our next powertrail, the Oz Mega 2014 trail had approx. 180 caches and took us most of the day to complete but we weren’t done yet. By late afternoon we were starting the Oz Mega Signal trail which had an additional 90 caches for us and just after 7pm we finished our days caching with a massive 325 finds. 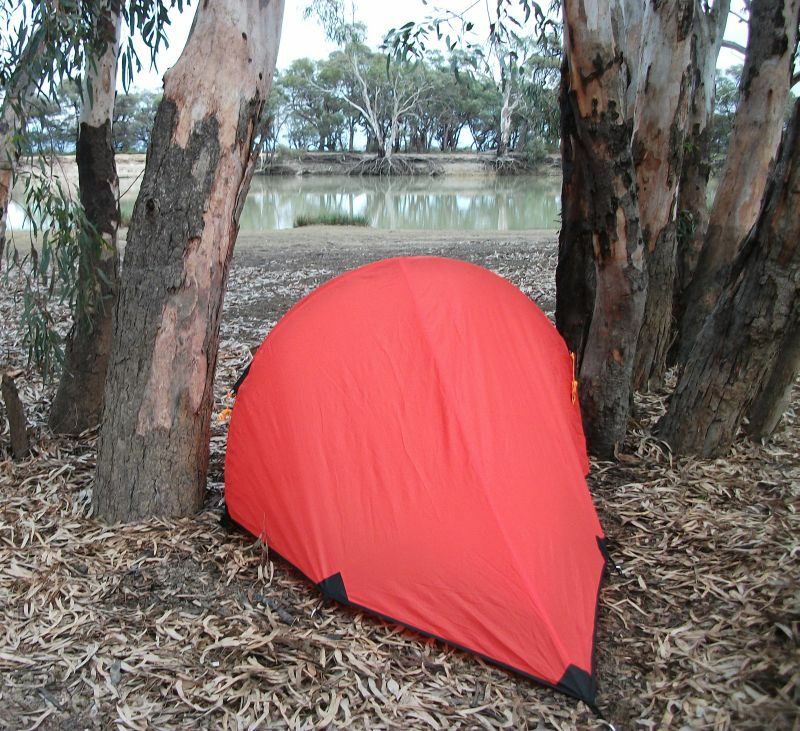 We finished the night off with a good pub meal and a comfortable bed in Murray Bridge. 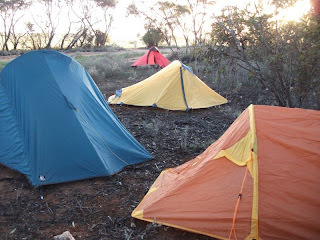 Friday morning started slowly, we were all pretty weary after big previous day but we were soon into the swing of things again as we made our way to Tailem bend and the start of the Wandering Heroes powertrail. This powertrail pays homage to much of the caching community with a cache in their honour. Throughout the day we found a cache for Matt, me and our 210 record attempt, along with many other themed caches in honour of the owner. The weather wasn’t as kind today and on a number of occasions we had to put raincoats on or shelter from the chilly wind, but alas by days end we’d found another 317 caches. By Saturday we’d already eclipsed my expectations of the trip and we still had 2 days ahead of us. Pushing north we zigzagged across the Murray River once again before arriving at the TDF powertrail. This p/t by far was the most enjoyable of the trip. It meanders down an old stock route, has good sized containers and the rural vista was breathtaking. 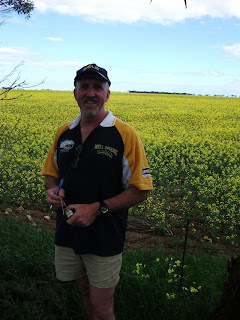 We’d found the 104 caches by early afternoon and were soon on our way to the Auzzie Convicts – wild adventure powertrail. Reading the feedback on this trail had us a little cautious but after finding a few of the caches we soon had the theme of the series and the finds flowed and whilst we didn’t set a cracking pace we had a relaxing afternoon picking up tricky hides. That night we headed to Kapunda for a bed and a feed, checking in to cabin the local pub came recommended and we weren’t disappointed. Huge meals and plenty of beverages filled us up ensuring we had a good night’s sleep. As our last day for the invasion commenced we all hovered around personal milestones, none bigger than the possibility that we might find more than 1000 caches for the trip. This excited us but we still had a long way to go, so it wasn’t long before we were finding our first cache in the Five-oh series, this was quickly followed by the “It’s a small World” powertrail. By early afternoon we started our final p/t of the trip. It was here on the PSA trail that Matt, Jason and I all achieved our personal kilo milestones. I had amazing only celebrated my 8000 find 2-weeks earlier and here I was now celebrating 9000 finds. Celebrations were short lived as the clock was starting to beat us. Our flight home was nearing and we still wanted more caches. As we headed towards the airport we were fortunate enough to collect the necessary finds for us to achieve an amazing 4 days in South Oz. With only minutes to spare, we arrived at the airport, handed over the keys for our rental car and boarded our flight for home. We had spent 4 days on the road, done countless km’s, had 2 consecutive days of over 300 finds each day, completed 9 powertrails and amassed over 1000 finds. Thanks to my fellow Gangsters for another great trip.